"Chestnuts roasting on an open fire" on a chilly fall evening is a time-honored American tradition. Chestnut trees once covered the American forests from Maine to Georgia; gathering and roasting the nuts was an important fall ritual for the natives and settlers of early America. Eaten at the first Thanksgiving, chestnuts have been a special part of the holidays ever since. They have a sweet, delicious flavor, and can be used in many Thanksgiving and Christmas dishes, from soup to dessert. Try these recipes or create your own to enjoy an entire meal with chestnuts. To Oven Roast: With a sharp knife, cut an “X” at the end of the nut. Be sure to cut through the outer skin down to the meat of the nut otherwise they can explode. Arrange X-cut chestnuts in a single layer in a roasting pan / baking sheet. Place in oven at 350 degrees for 15- 25 minutes or until the nut can be easily pierced with fork or knife tip. Peel and enjoy!!! You can also use a traditional chestnut roasting pan (with holes in the bottom of the steel pan) and cook the chestnuts over an open flame or coals on the grill. Keep rotating nuts by shaking the pan, so they cook evenly and do not burn the kernels. The shells may burn. Make sure you cut the nuts the same way described above. To Precook and Peel Nuts: With a sharp knife or cleaver, cut the nuts in half. Place in boiling water and cook for 10 minutes. Boil them for less time (6-10 minutes) if you're planning to add them to another dish in which they will continue to cook. Drain and immediately peel. The half kernels will peel easily when still hot. Remove both the shell and the seed coat (the thin skin between the kernel and shell). Dunstan Chestnuts peel very easily while other varieties, such as European imports, may be more difficult to peel. To Microwave : Arrange X-cut Chestnuts in a single layer in a microwave safe dish. Microwave on High for about 2 minutes. Microwave a maximum of 12 Chestnuts at one time so they cook evenly. CHESTNUT FLOUR Chop peeled Chestnuts into small kernels. Dry in food dryer or oven at low temp until the nuts are almost rock hard. Grind into flour using food processor or flour mill. Store flour in freezer. Try substituting chestnut flour in all of your favorite cake and pastry recipes (substitute 1/4-1/3 chestnut flour for the recipe's flour requirements), or make chestnut pasta by using chestnut flour as part of your favorite pasta recipe. CHESTNUT PUREE: To prepare chestnut puree for use in other recipes, boil pre-cooked, peeled Chestnuts in either water, broth, or milk until tender. Drain and either press through a sieve, process in a food processor, or grind in a blender. Whip in 2 T butter per cup of pulp. Add salt and pepper to taste for vegetable dishes, or sweeten with vanilla, spices or honey for use in dessert dishes. Puree can be stored in the refrigerator, frozen or canned for future recipes. TO STORE FRESH CHESTNUTSBecause chestnuts are high in carbohydrate, they must be kept in refrigeration and will spoil if kept out at room temperature. Store in a breathable (paper) or open plastic grocery bag in the vegetable bin of the refrigerator. If stored this way they should last for 2-3 months. Do not store in a closed zip lock bag, as they will mold. When purchasing chestnuts make sure your supplier has kept the nuts in cold storage and they are firm and brown. Walnuts and pecans have oil content and can be kept at room temperature. Press the shells between thumb and finger, if the shell compresses, the kernel has dried and may be moldy. It should be full and hard to the touch. You can also float them in a bowl of water, and the rotten nuts will float and can be discarded. CHESTNUT PRODUCTSThere are many types of chestnut products available. We offer a number of excellent products available HERE. FRESH CHESTNUTS - Available at grocery stores and farmers markets in autumn, from September through Christmas. 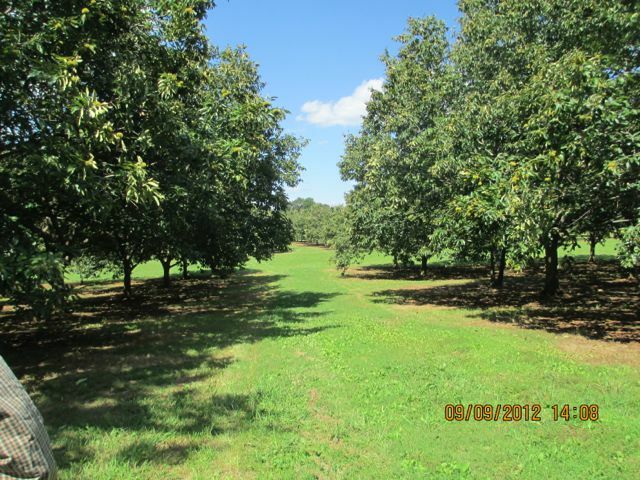 Fresh chestnuts are grown in American orchards (often Dunstan Chestnuts! ), or imported, primarily from Europe. Chinese Chestnuts are sometimes imported to the west coast. Whole Foods Market sells organic Dunstan Chestnuts at some of their stores in the Midwest. DRIED CHESTNUTS - These must be re-hydrated by soaking or cooking in water until they have the appearance of fresh nuts. They are available year round for preparation of cooked chestnut dishes. They are normally imported from China or Europe. VACUUM PACKED CHESTNUTS - steam-peeled chestnuts are available in vac-packs or foil packs from Europe and China. This makes them very easy to use, since there is no time involved in peeling and they can be used in any type of recipe. Some imported brands from China have additives such as MSG. CANNED CHESTNUTS - these are peeled and typically packed in water. They are easy to use in cooking preparations, and primarily imported from Europe. PEELED FROZEN CHESTNUTS - this is the raw product used in making Marron Glace before the candy process. It is very easy to use and saves time in preparation. CHESTNUT PUREE - this product is un-sweetened and is used for cooking. It is available in jars or canned and imported from Europe. CHESTNUT CREAM - is chestnut puree that is sweetened with sugar and sometimes vanilla or chocolate and used as a jam or cream. It is available in jars and imported from Europe. CHESTNUT FLOUR - chestnut flour is very popular in Europe, but not widely available in the U.S. There are a few American producers, but it is mostly imported from Europe. There is variability in how finely ground it is. CHESTNUT FLAKES - after chestnuts are dried, they can be sliced instead of ground up into flour. This product can be used in cereals, granolas or in cooking.